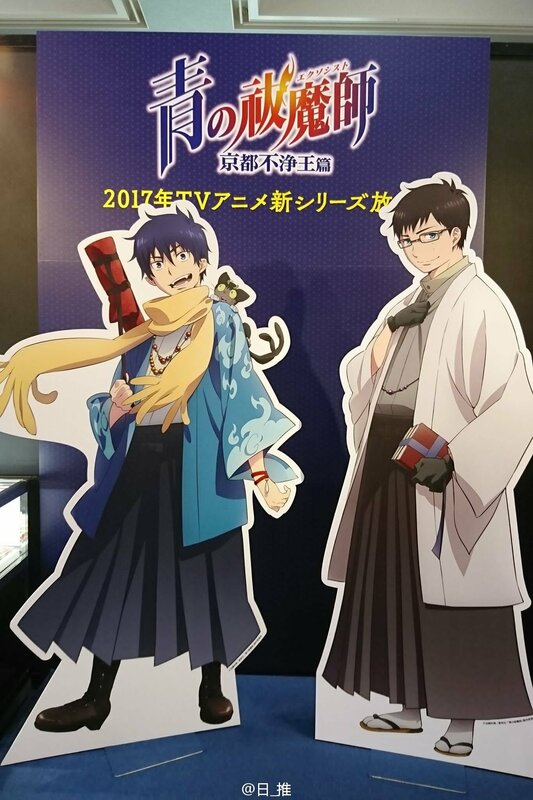 The Kyoto International Manga Anime Fair 2016 events have setup the Blue Exorcist TV anime display for the upcoming 2017 adaption of the Kyoto Impure King Arc by Kazue Kato. While A-1 Pictures still remains the studio in charge of the new anime, Koichi Hatsumi will direct instead of Tensai Okamura, Hatsumi has previously worked on Deadman Wonderland. Further to this, a stage event has also been planned for the event. If you don’t know yet, Blue Exorcist has been planned for 2017. I personally can’t wait to see what happens next in the anime, I’ve yet to read the novels thus the hype for me is just starting. Anyways, what are your thoughts on this? Go ahead and comment down below telling me what you think. I love Blue Exorcist! I wish I could go. But I’m stuck here in university.